The Economist asked Anoush Ehteshami of Durham University and Daniel Pipes to address the motion: "Egypt will become a democracy within a year." Ehteshami's response in favor can be read here. Mr. Pipes's response follows below. Two reasons lead me to assert that the Arab Republic of Egypt will not boast a democratic political system at this time next year. First, democracy is more than holding elections; it requires the development of civil society, meaning such complex and counterintuitive institutions as the rule of law, an independent judiciary, multiple political parties, minority rights, voluntary associations, freedom of expression, movement, and assembly. Democracy is a learned habit, not an instinctive one, that requires deep attitudinal changes such as a culture of restraint, a commonality of values, a respect for differences of view, the concept of loyal opposition, and a sense of civic responsibility. Further, elections need to be practiced to be made perfect. Ideally, a country starts electing at the municipal level and moves to the national, it begins with the legislative branch and moves to the executive. Simultaneously, the press needs to acquire full freedoms, political parties should mature, parliament should gain authority at the expense of the executive, and judges should adjudicate between them. Such a transformation of society cannot take place within months or even years; the historical record shows that it takes decades fully to implement. It is out of the question that an Egypt with minor experience in democracy can put together enough of these components in twelve months to establish a fully democratic order. Second, whichever scenario one plays out, democracy is not in the offing. If Hosni Mubarak stays in power, unlikely but possible, he will be more of a tyrant than ever. As shown by his actions in recent days, he will not go quietly. If the military asserts more directly the power that it has wielded behind the scenes since its coup d'état of 1952, Omar Suleiman, the newly-appointed vice president, would presumably become president. He would make changes to the system, eliminating the most obvious abuses under Mubarak, but not fundamentally offering Egyptians a say in the regime that rules them. Algeria 1992, where a military-backed government repressed Islamists, provides a precedent. 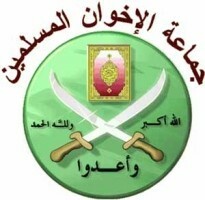 As its logo suggests, Egypt's Muslim Brotherhood is not exactly a democratic organization. If Islamists come to power, they will foment a revolution along the lines of Iran in 1979, in which their belief in God's sovereignty trumps political participation by the masses. The inherently anti-democratic nature of the Islamist movement must not be obscured by the Islamists' willingness to use elections to reach power. In the prescient words of an American official in 1992, the Islamists forward a program of "one person, one vote, one time." However looked at – abstractly or specifically – Egyptians are in for a rough ride ahead, without imminent prospect of choosing their leaders. Feb. 8, 2011 update: The Economist asked Mr. Ehteshami and me to engage in a second round on this same topic, responding to each other's argument. I do so at "Anoush Ehteshami and Democracy in Egypt," where I argue that he in fact shares my skepticism: "we both agree that after a 'long and painful' year, Egypt will, at best, find itself 'becoming a democracy'."